The sealant worked well on both my trial tyres, and sealed the holes that I expect had occurred from thorns and small flints. 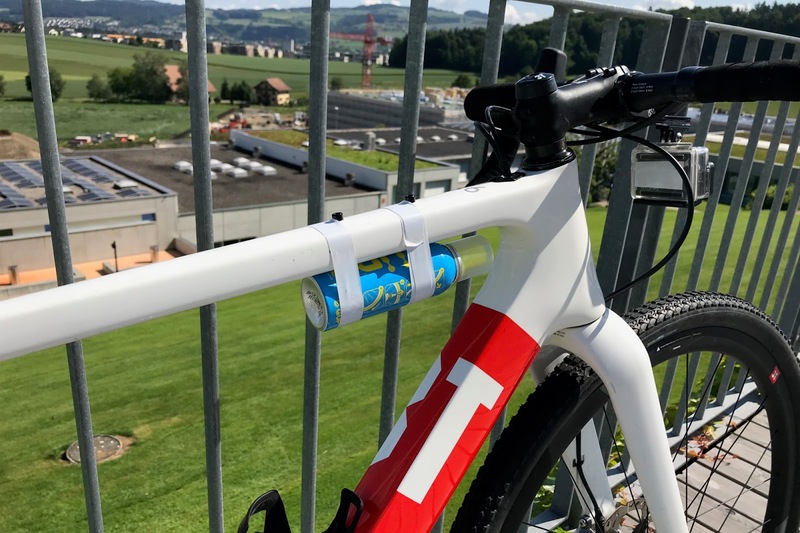 How well it would work for a large hole is debatable - most likely you'd need to combine it with a tubeless plug such as a Samurai Sword (coming soon to Cyclorise). The sealant can remain happily in the tyre or tube after you've made the repair. It mixes with latex based sealants such as Stan's No Tubes, and although it will eventually cure and dry up, it will be useful during its liquid life for fixing any further potential flats. With the popularity of disc brakes, thru-axles, and tubeless tyres, the time taken to change a puncture is often a lot longer than it used to be, because wheels and tyres are more tricky to get off. For that reason, a canister of GÜP could save minutes during a race. 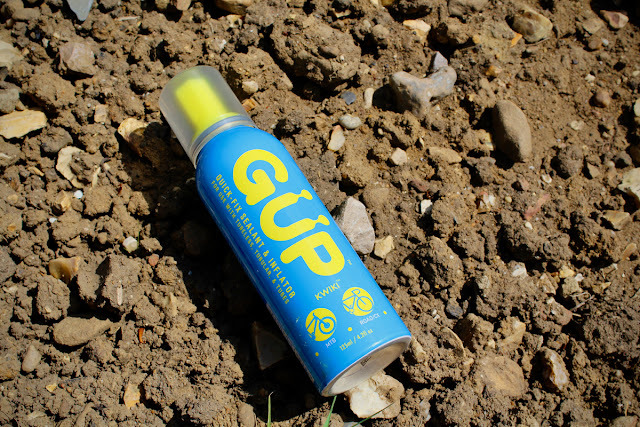 There is now one of these GÜP cans strapped to the top tube of my 3T Exploro on a permanent basis. Whether it be to provide more sealant to fix a flat, to provide added air for a slow puncture, or in the event that the existing tubeless sealant dries up without me knowing. GUP could save the day. GUP is well worth checking out; for peace of mind, and to avoid the loss of Zen caused by that always unwelcome puncture.